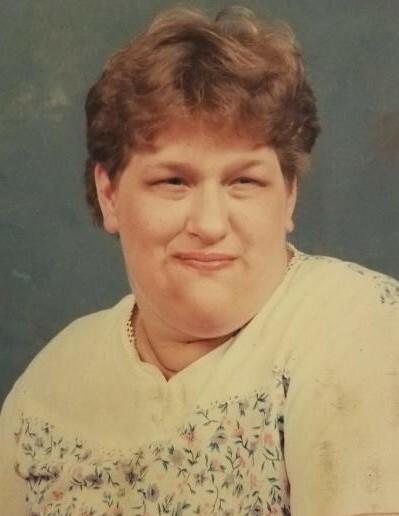 Obituary for Michelle L. ("Shelly") Shenfeld | W. Orville Kimmel Funeral Home, Inc.
With her loving family by her side, Michelle L. “Shelly” Shenfeld, 49, of Middletown, passed away peacefully on Thursday, October 4, 2018 at Hershey Medical Center. Born July 30, 1969 in Harrisburg, Shelly was the daughter of Donald E. and Linda S. (Newhouse) Shenfeld, with whom she resided. She attended Capital Area Intermediate Unit. Her family and friends will truly miss Shelly’s happy, loving heart and her hugs. She was a “mother hen” to her family, always protective of them. If she liked you, you had a friend for life; but if you hurt her family or friends, watch out!! Because of her brother’s and nephew’s involvement with the fire company, she had a scanner and would listen to it constantly (and then worry about everyone). Shelly’s favorite holiday was Christmas; the music, the decorations, and especially the gifts. She had already started clearing the place in her bedroom that she made for the presents she would receive. A “girly girl”; she loved the color pink and baby dolls. But she was also a Philadelphia Eagles fan; enjoyed putting puzzles together and teasing her dad (and him teasing her)! Shelly liked most types of music, but she loved oldies and country, especially Blake Shelton. Surviving are her parents, Donald E. and Linda S. (Newhouse) Shenfeld; her brother, Donald E. Shenfeld, Jr., Highspire; her sister, Melissa A. Montgomery (and her husband, Gregory), Middletown; her nieces and nephews, Gabrielle Gagne, Georgia, Dustin Shenfeld, Highspire and Kaitlyn Shenfeld, Ephrata; her great nieces and nephews, Kaylee , Draeden and Zaraeah Gagne; and many, many aunts, uncles and cousins, all of whom will miss her greatly. Shelly’s life will be celebrated with a time of remembrance from 1:00 pm to 4:00 pm, Saturday, October 27, 2018 at the Highspire VFW, 498 High Street, Highspire. In keeping with her character, all are asked to “come as you are” in casual clothes. Contributions may be made in her memory to the Highspire VFW, 498 High Street, Highspire, 17034.